" The postures in yoga represent only 12.5 % of Yoga , almost 75% Yoga has more to do with mind, forming a personal spiritual discipline leading to a healthier body and mind that can enter in a stage of deep meditation ( samadhi ) . Do not let difficult postures or extremely flexible yoga teachers discourage you from getting into Yoga and explore the journey within. Find the right teacher "
What kind of Yoga is taught? 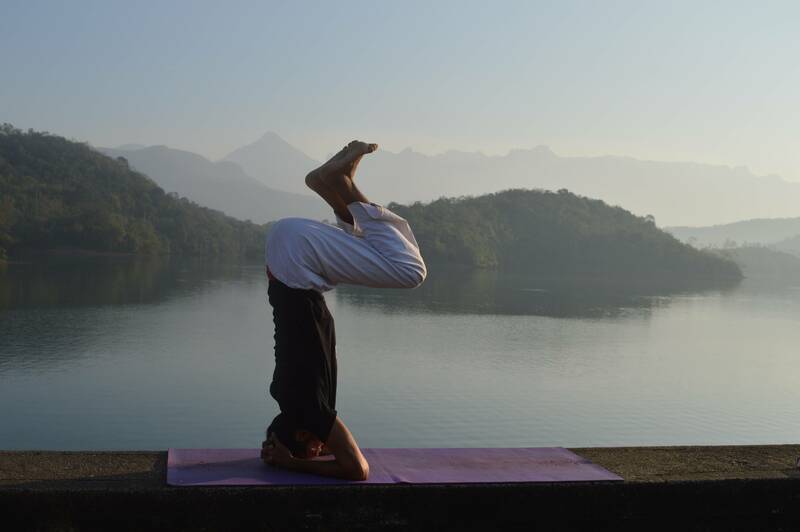 We teach the classical form of yoga practice – within the umbrella of Ashtanga ( 8 Limbs ) known as Hatha yoga. This form has been talked about and mentioned in the classical Yoga texts by Sage Patanjali the exact life of which can only be approximated to be 3000 years or more. Every other form of yoga is merely styles of individual teachers. 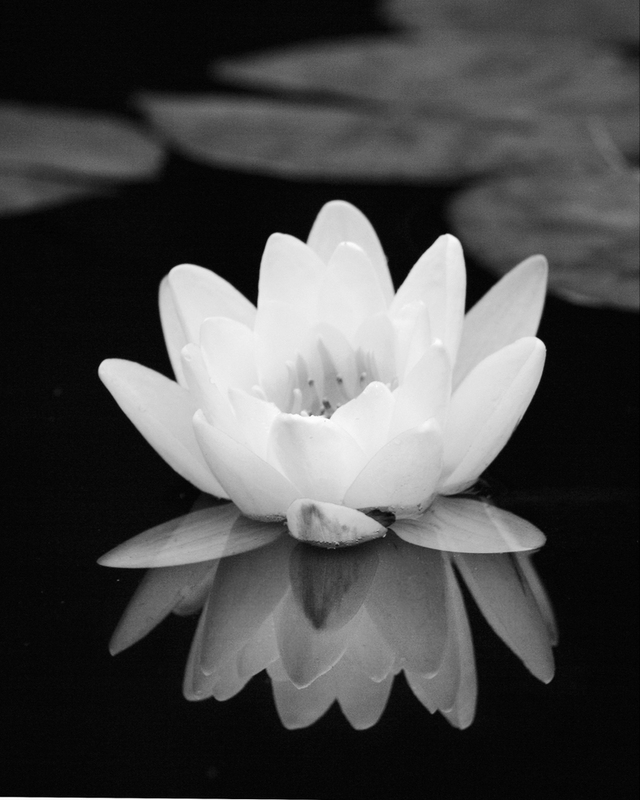 We combine the Hatha Yoga practice with the Zen Meditation ( taught by Buddha ) called Anna Paana and Vippassna. At AIB (awaken inner buddha) we believe that this is the purest form of meditation that ever existed. After years of searching for an effective form of meditative practice during his enlightenment, Buddha understood & realized the practice of Vippassna – which could easily be adopted by an ordinary person, living day to day life in non yogic environment. These basic 12 postures apart from warming up exercises as well as Pranayama , activate different Chakras (energy centers) of the body and force the Ha (Sun Energy) and Tha (Moon Energy) to the core or center part of the body which helps in activating the central channel ( susuhmna nadi ) - where by once the Kundalini is awakened it travels upwards through this channel. By definition in Sanskrit, the word YOGA stands for the term “Union or Communion” which refers to combining of all the powers of the mind, the body and the soul to become one with the higher Energy/Force of the Universe, which controls all existence. Generally misunderstood – this higher energy is usually referred to in many cultures as God (in a human form) when it has no form no size and no conceivable shape or idea that it can be defined in. Scriptures clarify God is the highest limitation of the human mind, trying to connect to the infinite omnipresent energy of the Universe in form of a human. Thus yoga is becoming “One” of all our energies with the higher existing “Energy of the Universe” that flows through all beings and creatures alike. “Brahmaan” is the Infinite, Uncaused, Eternal, Supreme Reality as per Vedanta philosophy. It is beyond all qualities and source of Being, Intelligence and Bliss. Maya is the “cosmic illusion” of attachments that is projected on to the Brahman the never changing reality. Brahman is the absolute that can not fit any definition or form. However Brahman associated with Maya ( cosmic illusion ) represents Ishwara ( personal god in many religions) which represents the highest limit of the human mind since we need a shape or form to interact or relate to the infinite energy of Universe. So what is Yoga ? Yoga as mis-understood by many both in India as well as west – are a set of exercises and postures ( asanas ) for keeping our body fit. This is the wrong understanding accepted by millions around the world. Yoga is an ancient system/science of regaining our natural balance within our selves, becoming One of our consciousness with our supreme consciousness and classically uses the following 8 legs to reach there. These 8 legs ( Asht = eight Tanga=legs ) is what the classical yoga is generally referred to as Ashtanga Yoga – simply meaning the eight limbs on which the ancient science of YOGA as defined by Sage Patanjali stands upon. 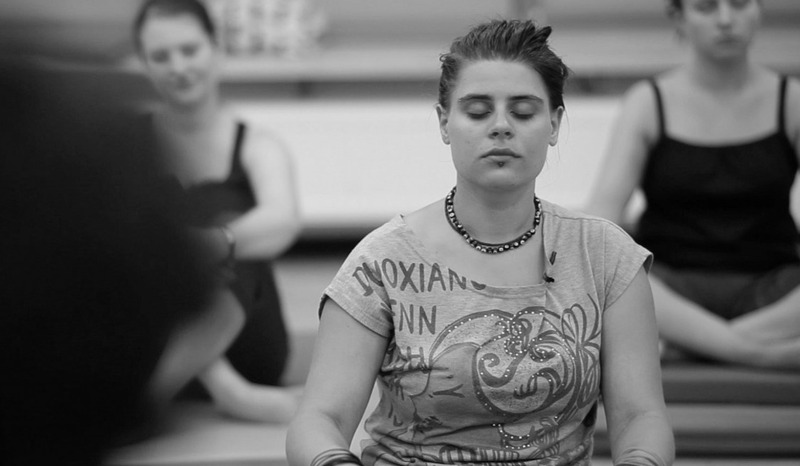 In today’s life and times – where the mind is distracted with stress/overexertion of faculty of mind is getting reflected in our bodies in form of diseases and ailments, Yoga combined with Meditation shows the way to reduce our ailments, reduce the stress and bring our physical bodies closer to our natural balanced state where we are One with our selves, one with the energy of the Universe that flows through us. This does not mean believing or not believing in any form of God, but merely accepting that there is universal energy that flows through all existence around us and as we get closer inside - to this energy the natural balance of our body and mind is restored. What is the Classical Form of Yoga ? It is important to understand that by themselves they are not separate streams or kinds of yoga practice however they are different descriptions of the same original practice describing different aspects. Raja Yoga ( Raja = King ) simply refers to Yoga (it is a stage) leading to a state of control of the Mind, where Mind is the King of all the rest of our senses. 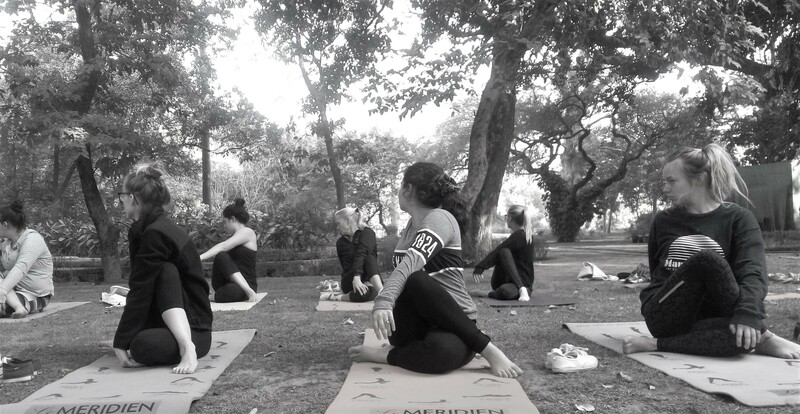 While following all the 8 steps of yoga – instead of asanas and pranayama if you work directly with mind through meditation then – it becomes Raja Yoga. The one who can control the mind can control everything and thus this is a stage of Yoga in itself. It is not a unique or special practice which is different from others. Hatha Yoga – The true origin to all forms of physical Yoga present today, Hatha yoga refers to the physical form where through the postures (asanas) and pranayama , the Prana is brought under control and through the control of Prana (breath) – the mind is brought under control. In Hatha yoga the Sun Energy (Ha) & Moon Energy (Tha) is directed towards the center channel , in order to provoke the Kundalini to awaken and arise, once the mind is brought under control. It is important to understand that Hatha Yoga or the advance stage also known as Raja Yoga or any other form of Yoga taught by any teacher - would not exist without Ashtanga (the eight limbs). Are paths laid above the only way to UNIFY self (YOGA) with the Universal Energy ? In ancient vedic system of India – which is quite wide open and makes space for every kind of thought and practice , it is believed that there are FOUR PATHS of YOGA – through which union of Self can be achieved with the Higher Energy flowing through the Universe. Depending on personality type and behavioral type different people may find different PATHS more suitable to themselves. KARMA YOGA – The path of dedication to work – without any expectation in return (renouncing the fruit or rewards of one actions) as a form of action that is absolutely pure. The doer ( karma yogi ) sees Universal energy dwelling in all living beings and in all action that must be done. Such a person loves all equally- humans, animals, planet and all forms of Universe that exists around us and through service to all others . This is a form of yoga that can be practiced at all time under all conditions. It is the root of concept of Selfless or Voluntary Service. Such a person renounces or detaches himself from the fruits of his action. Whether or not the fruits shall occur he will continue to act with total dedication. This can be combined with other forms of Yoga practice. BHAKTI YOGA – Seen by many as the easiest form of realization of one-ness with the Higher Energy it is the path of pure Love and complete dedication. 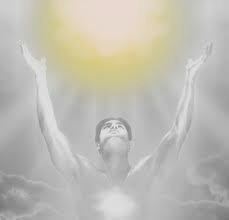 See the Universal Energy ( God ) in all living existence and pray to it. Out here the student does not try to get rid of emotions but seeks to channel the emotions by sublimating them into devotion. The aspirant attempts to realize the Higher Energy (God) by devotion and love in a personalized form or worship or practice of chants ( mantra ) . Prayer, Chanting, Japa, Hearing or telling stories of God and Saints, Ceremonies and Rituals are all forms of Bhakti Yoga. In its advancement Bhakti Yoga rids aspirants of ego-centricity and reactive emotions by developing humility, self surrender and feeling an instrument in the hands of higher energy. It is usually best for people who are extremely emotional / temperamental and who’s mind flickers a lot. RAJA YOGA – This is the path where ultimately one strives to systematically analyze the mind and its nature and then control it using the various techniques. One who controls the mind is like a RAJA ( KING ) and has control over everything else in life. This is not a specific form or practice – but simply a path in yoga itself where the practitioner works on the mind and thereby controls the breath or Prana. Raja Yoga is also a stage on the path of yoga where by controlling the mind, gives us control over all other desires of ours. GYANA (JNANA ) YOGA – This is the path of intellect and also the path of self enquiry ( VICHARA ) and constant self analysis ( Viveka – ability to discriminate between that which is real and unreal ) , this leads into examining Minds own nature through meditation and reading of scriptures (philosophy of Vedanta ) . Through knowledge and self-analysis Dispassion( vairagya ) is developed and liberation or Oneness with Universal Energy is attained through personal intuitive experience. If Yoga is not only postures what other forms of yoga exists/existed ? Kundalini Yoga / Laya – In this form The nadis ( pranic channel ) and Chakras ( Energy Centers ) are worked upon and purified which leads to awakening of Kundalini ( the dormant infinite Life Force ). Kundalini Yoga describes psychic system, develops various techniques for gaining MASTERY over PRANA ( VITAL FORCE OF LIFE within our body ) to ultimately gain control over the mind. This could be through help of breath techniques, sounds, visualizations to energize each energy center and force the Kundalini energy to wake through various Kriyas. Hatha Yoga – includes a lot of physical work, actions postures, mudras, bandhas and pranayama emphasized gaining control over the PRANA ( VITAL FORCE OF LIFE ) leading to control of mind and ultimately forcing the Kundalini to awaken and rise. Most yoga schools / yoga teacher trainings offer a combination of Hatha yoga with Bhakti/Mantra Yoga or sometimes with Kundalini yoga. Wait a second – then what is Iyengar Yoga, Vinayasa, Power Yoga, Sun Yoga, Acro Yoga ??? Simply put ( exception Sun yoga or Acro-Yoga which are not yoga at all ) – these are personal or specific styles of practice of asanas ( all derived from Hatha Yoga ) by specific founders / teachers of these forms of yoga. In reality they are the worst mis-representation of YOGA. They do not represent Yoga at all. Since 12.5 % of a population can not represent the entire population , similary Yoga Asanas and its various names created for selling Yoga do not represent Yoga as a subject, discipline or practice. Iyengar yoga – named after BKS Iyengar by his students – emphasizes on hatha yoga which lays emphasis on detail, precision and alignment in doing the Posture/ Asanas and breath control. The highest form of yoga asanas and One of the most accurate and scientific forms of physical Yoga it is extremely popular for its ability to heal the body and gives us a great insight in to healing physical ailments through accuracy and props and aids used during the practice for people with physical problems. It aids in healing through corrected postures . 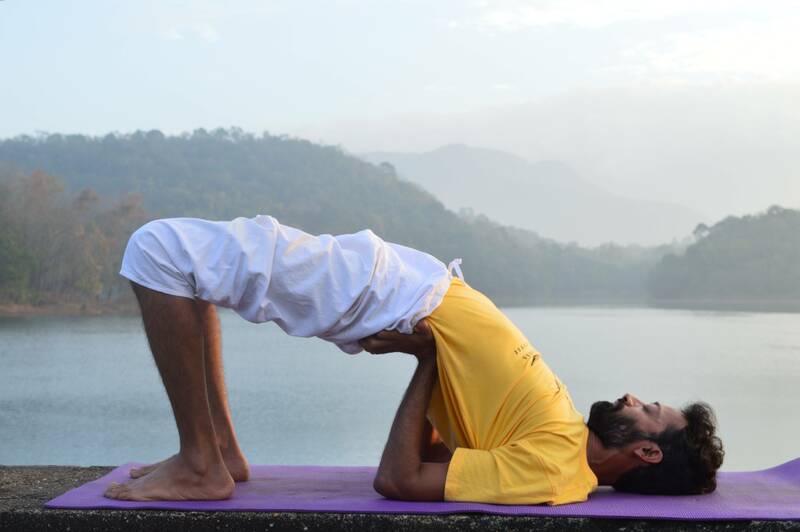 Vinyasa Yoga – Named and founded by K. Pattabhis Jois is kind of a modern form of classical ashtanaga / hatha yoga practice which lays special emphasis on Breath while performing the postures or journey between the postures ( asanas ) and drishti ( focused Gaze ) . Derived from Hatha Yoga, in this Yoga between the postures instead of resting you perform postures slow and keep flowing from one to another. At best it should be used by advanced students of Yoga. Also referred to as Dynamic Yoga / Power yoga / Ashtanga Yoga only sometimes ( terms coined by western teachers) all of who originally learnt it from Guru K Pattabhis Jois. Acro Yoga – Not a Yoga practice at all , it is another rage in the west especially amongst youth – It is nothing more than acrobatics being performed with a partner. With the mis-use of the word YOGA, ACROYOGA – is purely acrobatics with a partner. It found a great way to market itself through the mis use of word YOGA and projecting itself as a new age Yoga. At best most ACRO YOGA groups and teachers only aspire that AcroYoga blends the wisdom of yoga, the dynamic power of acrobatics, and the loving kindness of healing arts. Important thing to know and understand is this is not a form of Yoga but only an aspirational practice which is good for having fun, developing good bonding with people but does nothing for the mind or the body in long term changes. 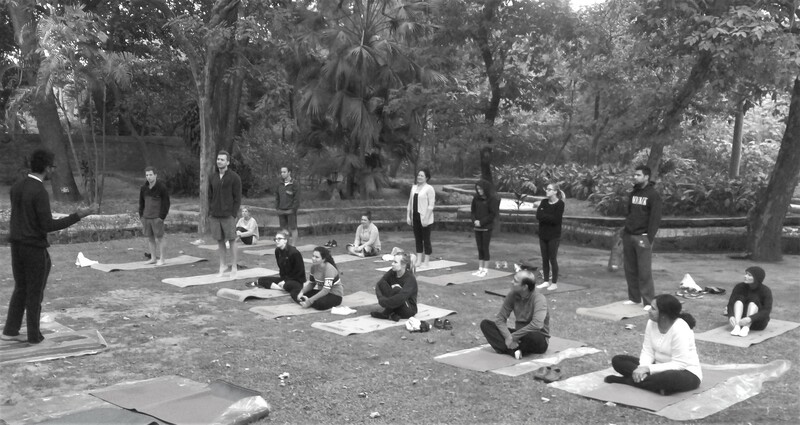 What does it all mean – what this means is any teacher who becomes popular and follows a specific style or method of practice of Ashtanga/ Hatha Yoga can come out with a new name for his / her practice adding to the confusion that the whole world has around Yoga.